Although there is little agreement between investigators on visual endpoints in patients with low vision, it is encouraging that during the observation period neither patient lost vision. Best corrected visual acuity improved from hand motions to 20/800 (and improved from 0 to 5 letters on the Early Treatment Diabetic Retinopathy Study [ETDRS] visual acuity chart) in the study eye of the patient with Stargardt’s macular dystrophy, and vision also seemed to improve in the patient with dry age-related macular degeneration (from 21 ETDRS letters to 28). Hey, did you hear? Lemme just make sure that everybody heard: STEM CELLS ARE BEING USED TO HELP RESTORE VISION AND ARE SHOWING SIGNS OF SUCCESS. AWE-SOME! Those with Stargardt disease are sensitive to glare; overcast days offer some relief. Vision is most noticeably impaired when the macula (center of retina and focus of vision) is damaged, leaving peripheral vision more intact. Symptoms usually appear before age 20. Symptoms include wavy vision, blind spots, blurriness, impaired color vision, and difficulty adapting to dim lighting. Some patients are able to drive. Many patients use magnifiers to help them see, and wear sunglasses to slow the development. In the dry (nonexudative) form, cellular debris called drusen accumulate between the retina and the choroid, and the retina can become detached. In the wet (exudative) form, which is more severe, blood vessels grow up from the choroid behind the retina, and the retina can also become detached. It can be treated with laser coagulation, and with medication that stops and sometimes reverses the growth of blood vessels. 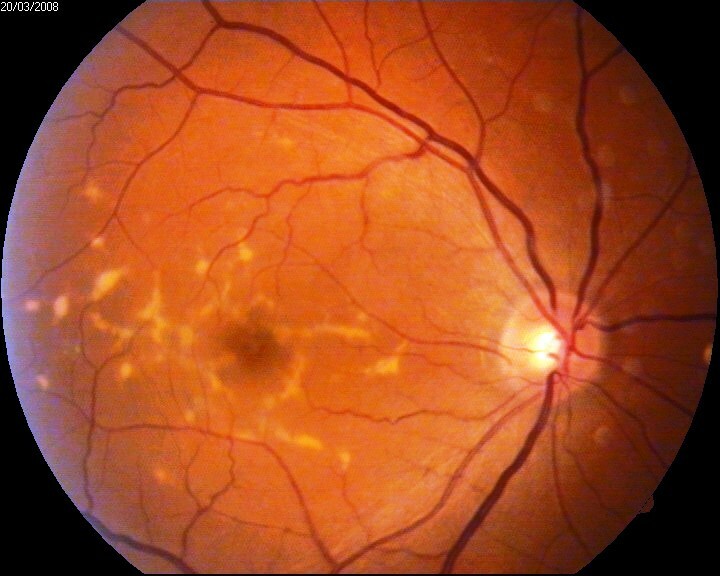 Age-related macular degeneration begins with characteristic yellow deposits (drusen) in the macula, between the retinal pigment epithelium and the underlying choroid. 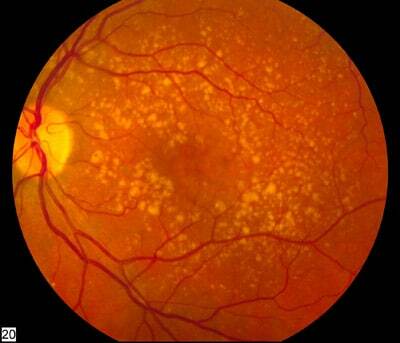 Most people with these early changes (referred to as age-related maculopathy) have good vision. People with drusen can go on to develop advanced AMD. The risk is considerably higher when the drusen are large and numerous and associated with disturbance in the pigmented cell layer under the macula. Recent research suggests that large and soft drusen are related to elevated cholesterol deposits and may respond to cholesterol-lowering agents. Ok, now I’mma let you finish, Taylor Swift, but STEM CELLS ARE BEING USED TO HELP RESTORE VISION AND ARE SHOWING SIGNS OF SUCCESS. 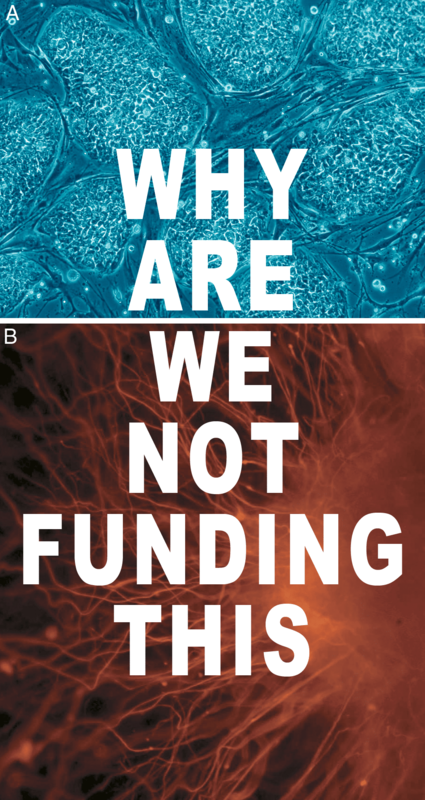 Check out the original article at The Lancet. Very, very cool news. Thanks, Wikipedia, Wikipedia, and WebVision! Previous articleYoung Chinese Boy Can See in the Dark! Thanks for the news Jimmy! Great news indeed! Hope something can be done soon not only as a research but for everyone and hope the treatments gets soon to Mx!